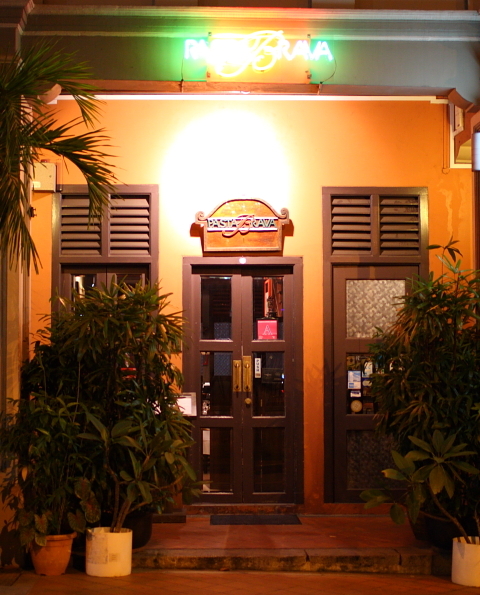 Pasta Brava is a cozy Italian restaurant along Craig Road which features traditional style Italian food in a warm environment. It was this place that we chose to celebrate a friend’s birthday with dinner here. 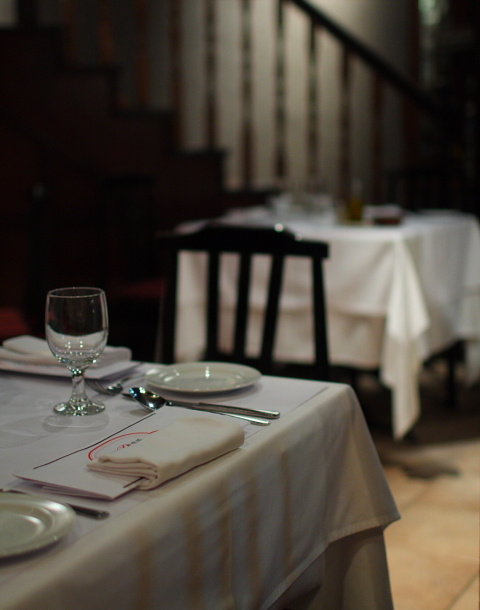 The setting is homely like as if back in Italy, and their staff are friendly and warm as well, having a bit of Italian flair when serving. Something interesting is that the tables are all covered with a large white piece of paper on which you can doodle with colored chalk provided in a basket at each table. Good if you have kids I suppose. 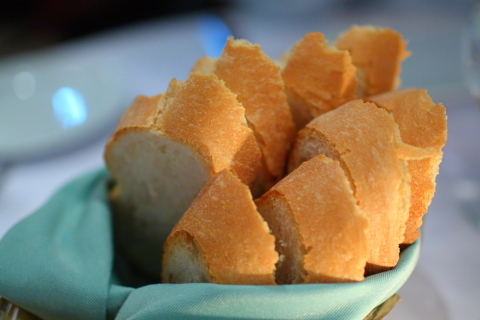 Lots of slices of nice bread that we kept eating and eating with olive oil and balsamic vinegar. We ordered the sauteed mushrooms to share as an appetizer. 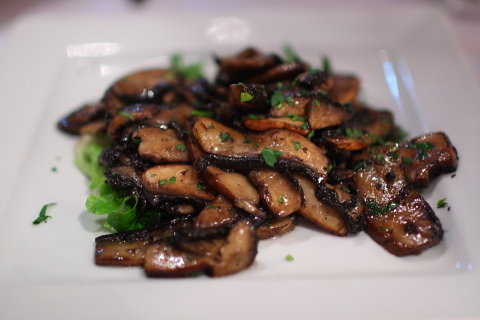 These are portobello mushrooms that have been sauteed in olive oil, garlic and parsley. Very delicious and full of garlic-infused flavour! 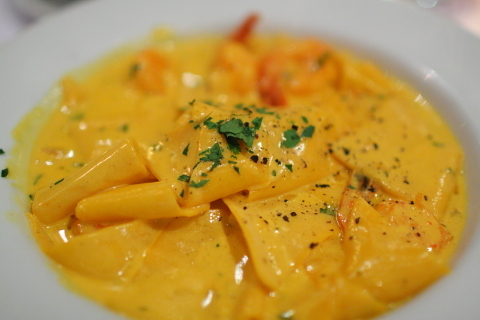 I ordered the stracci with scallops and prawns in a creamy saffron sauce. Stracci, or “rags” are basically small sheets of pasta and here they are cooked in a luxurious sauce which has hints of saffron but yet it’s not too heavy on the palate. The scallops and prawns were rather small but very fresh and crunchy to the bite. 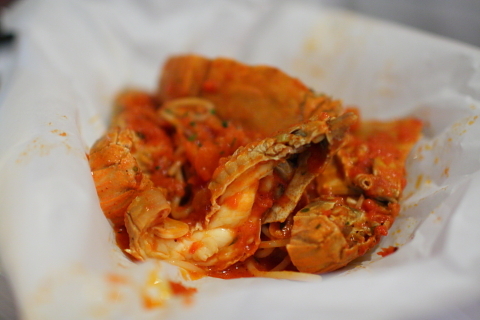 I don’t remember the names of the dishes that my friends ordered but here’s the slipper lobster pasta that came wrapped in a paper bag, very much like the French en papillote style. 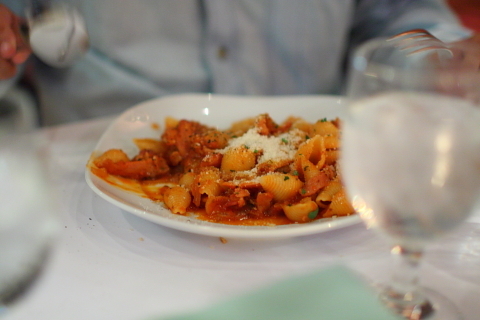 And my other friend’s conchiglie alla Amatriciana, which smelled pretty damn good across the table. 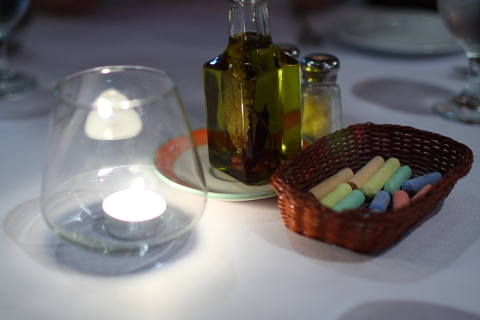 Overall a good place for hearty and authentic Italian food! Decent prices and warm ambiance as well. 10 Responses to "Pasta Brava"
I went down to this place a few days ago. I am very much disappointed. They used to have good italian, now i will need to find another restaurant to replace it. What were the disappointing dishes? I had the squid ink risotto and tried the lasagna. and some other dishes i do not remember. How much does the stracci with scallops and prawns cost? Happy new year to you too! The stracci cost $21. I love their pumpkin ravioli~ but I haven’t been back for the longest time. Missyglutton’s comment doesn’t sound too encouraging though.. Makes me wonder whether the quality has dropped? Thanks! Happy new year to you too! The food was quite ok when I ate there, could be that she went there on their off day. But I’m not sure how their standard was like long ago.